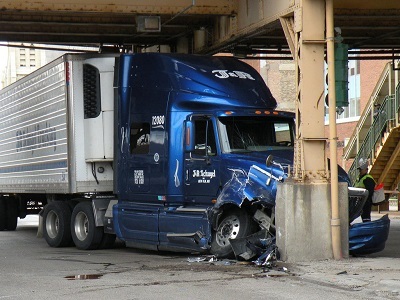 blog home Truck Accidents Do Truck Drivers Have to Follow Special Rules on the Road? Do Truck Drivers Have to Follow Special Rules on the Road? Commercial truck operators have specific regulations and compliance requirements that are dramatically different than those for private passenger vehicles. The industry is regulated by the Federal Motor Carrier Safety Administration (FMCSA) with assistance from state entities for enforcement. There are over 500,000 active interstate motor carriers in the U.S. One reason for national uniformity and rigid regulation is the potential impact these large vehicles can have on public safety. Most fatalities in large truck collisions are sustained by those in passenger vehicles. These trucks’ weight can be over 20 times that of a car’s. When loaded with freight, they require at least 20% more distance to reach a complete stop. Commercial motor vehicles (CMV) are defined as weighing over 6,000 pounds and/or having five or more wheels that reach the ground. Private passenger vehicles are excluded; however, trucks and vans used for commercial purposes to transport and store tools, supplies, and materials for work at “job sites” are included. Those who operate commercial trucks must have a Commercial Driver’s License (CDL). To obtain a CDL, drivers must complete specific training, examinations, and maintain relatively clean driving records. Special liability insurance requirements apply to CMV operation. Vehicles weighing in excess of 10,000 pounds must maintain a minimum of $750,000 in liability insurance coverage. Any CMV that transports hazardous materials must maintain a minimum of $5,000,000 in coverage. No driver of a CMV may use hand-held mobile devices for making calls or text messaging while driving, and motor carriers may not require usage of them. Drivers wishing to use such devices must move their vehicle off to the side of a roadway. Exceptions apply for contacting law enforcement or other emergency-related communication. In addition, a CMV may not possess or use radar detection devices during operation. Recent legislation now requires CMVs to install an electronic logging device (ELD). This ELD automatically records the amount of driving done each day. Originally drivers used paper “logs” to document time driven, which developed into Automatic Onboard Recording Devices (AOBR). The ELD is the latest accepted technology, and it requires carrier adoption by 2017 unless they have an existing AOBRD, in which case they may continue to use that until 2019. If you have recently sustained serious injuries in an accident with a commercial truck, you may be eligible for redress through financial compensation. DiBella Law Offices, P.C has been an advocate for Massachusetts’ truck accident victims for over 10 years and can discuss your case when you call (781) 262-3338. Whether you're having family issues, dealing with the law, or hurt in an accident, the best way to get through it intact is by calling the experienced legal team at DiBella Law Offices, P.C. The sooner you speak to us, the better, so call (781) 262-3338 for our Burlington office or (978) 327-5140 for our Methuen office for a free consultation. DiBella Law Offices, P.C. Kicks Off 2019 Scholarship! What’s the First Step for Filing for Divorce in Massachusetts? Copyright © 2019 DiBella Law Offices, P.C. Boston Attorney Disclaimer: The information on this website is for general information purposes only. Nothing on this site should be taken as legal advice for any individual case or situation. This information is not intended to create, and receipt or viewing does not constitute, an attorney-client relationship.